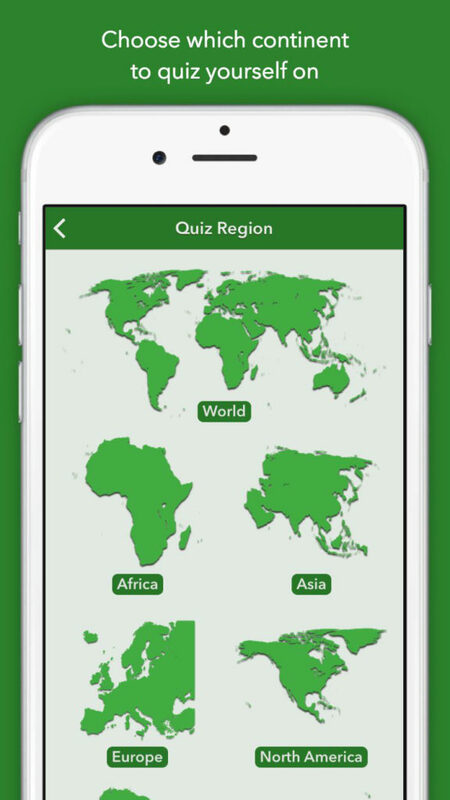 The most comprehensive geography quiz app. 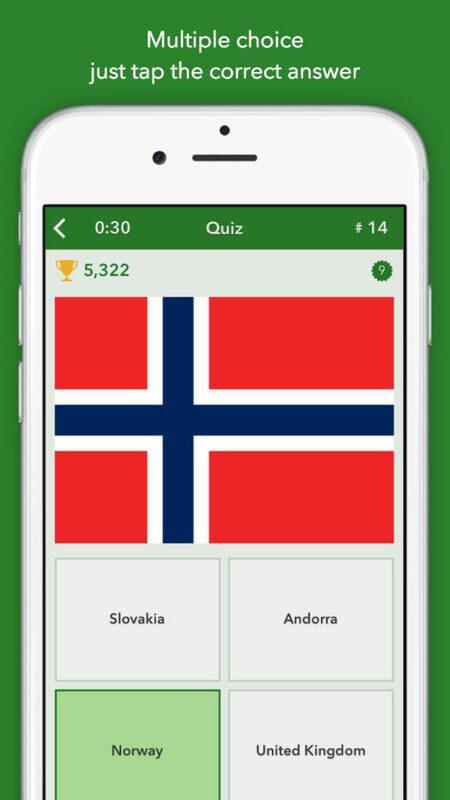 Quizzes on country flags, regional flags, maps and cities. No messing around choosing letters, just tap the answer! 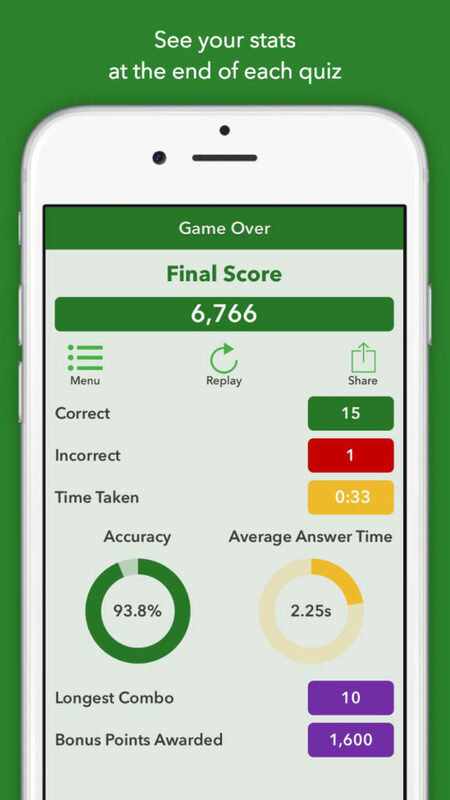 Show off your knowledge by unlocking over 40 achievements and top the leaderboards. Perfects for adults and kids alike. 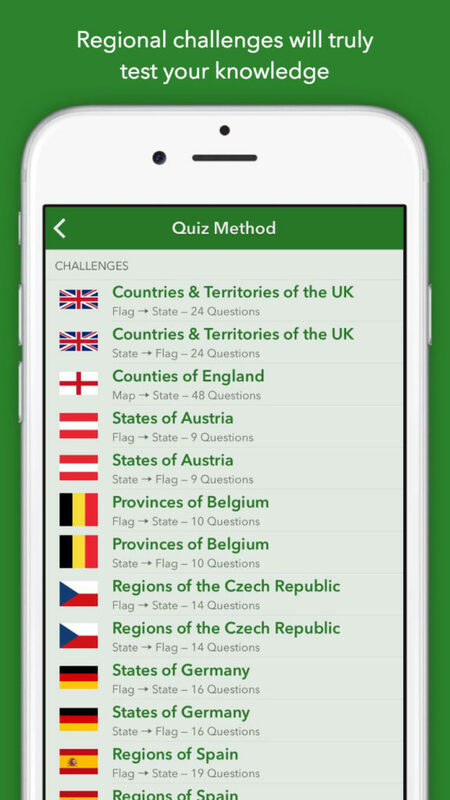 GeoChallenge is a free quiz app for iPhone and iPad. 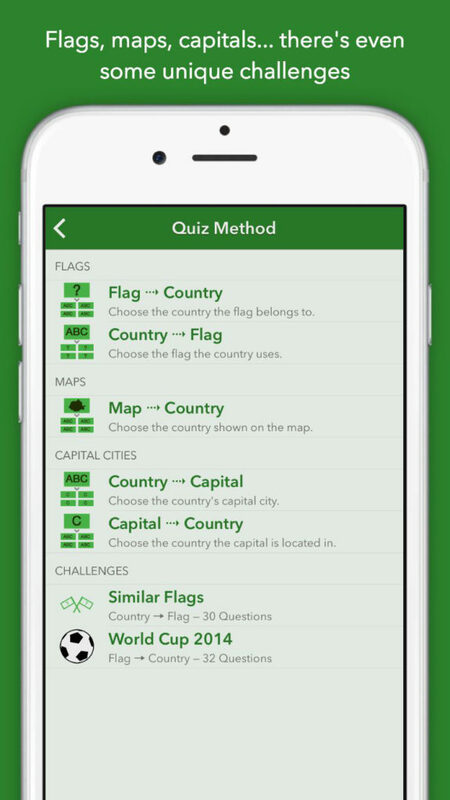 Multiple-choice quizzes focus on flags, countries, capitals and maps for every country in world. Choose the type of questions. Choose the length of the quiz. Try our Similar Flags challenge if you think you really know your flags. Or play on Sudden Death mode – one wrong answer and it’s all over! Loads of achievements to earn and leaderboards to climb. Show off your knowledge. 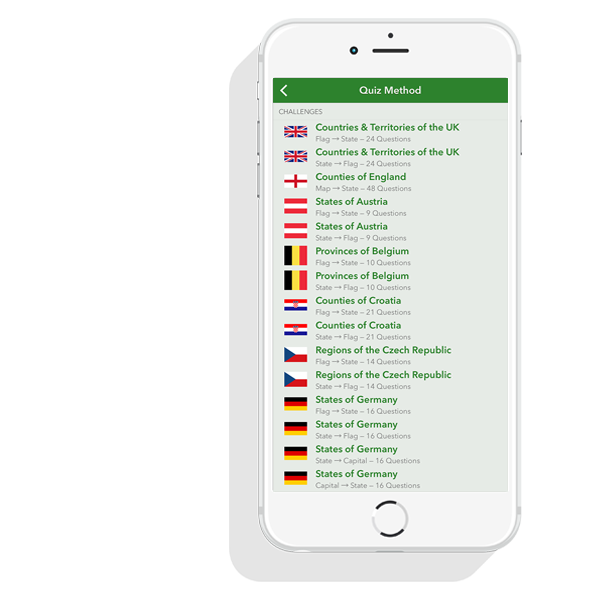 U.S. States, Canadian Provinces, UK Counties, German States… just some of the region specific quizzes available. 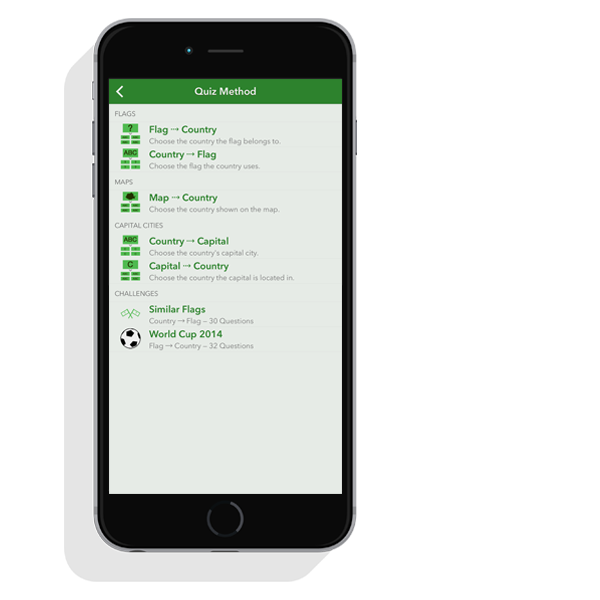 We’d love to make GeoChallenge available in as many languages as possible, but we cannot do this all by ourselves. Fortunately, you can help us out if you know another language fluently! 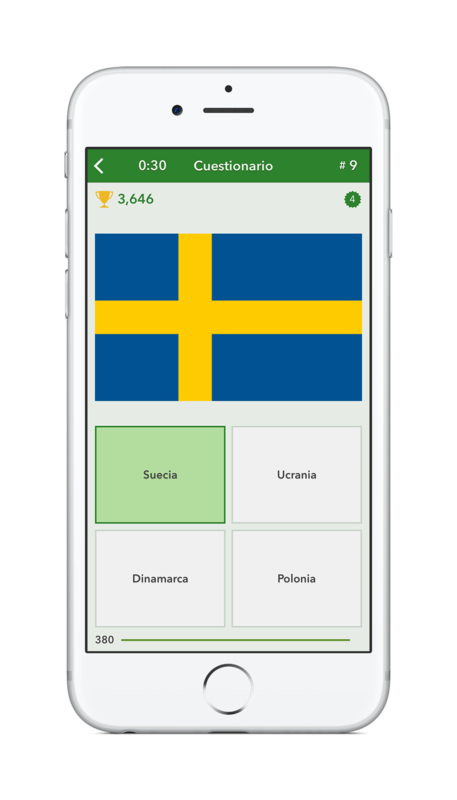 Scroll down to the GeoChallenge project, you should see there are 2 sections – one is the App Store description, the other contains all the words and phrases in the app itself (both will need to be fully translated before we can include it in the app). Feel free to skip anything you’re not sure about – you can translate as much or as little as you like – we seriously appreciate all the help we receive, and so do the users of the app! Please note that any translations you provide will be done so on a purely voluntary basis.